Staying on top in the rock game is a difficult task for any band in the scene. Especially for any length of time. 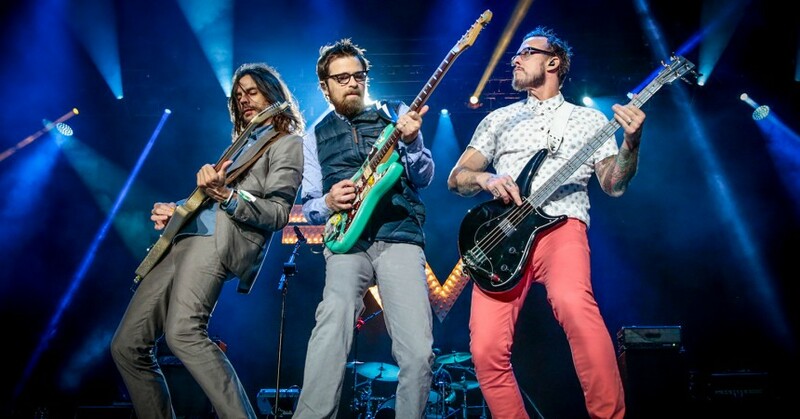 Sporting ‘90s guitar riffs with well-written pop melodies, Weezer has become known as one of America’s best-selling rock groups. Sixteen years and eleven studio records into their careers, Weezer now have an impressive back catalogue and an army of cult-following fans eagerly awaiting the group’s next release. The Los Angeles band are even one of the hardest working, with recent studio records coming just one or two years apart from each other Weezer are seemingly in never not in a recording studio. The four-piece never seem like they stop working on new material, proven with another release just over twelve months after their eleventh studio album, 2017’s ‘Pacific Daydream’. The new single ‘Can’t Knock The Hustle’ has been announced to be the lead single from the band’s upcoming LP ‘Weezer – The Black Album’. Weezer has even released their own cover of Toto’s ‘Africa’ just a few short months ago. The new track is definitely a return to form from the group after the last record peaked at just Number 23 on the US Billboard 200 album chart, the group’s lowest performance since their 1994 debut record ‘Pinkerton’. ‘Pacific Daydream’ was even the band’s only ever album, other than their debut, that has peaked outside of the top 10.